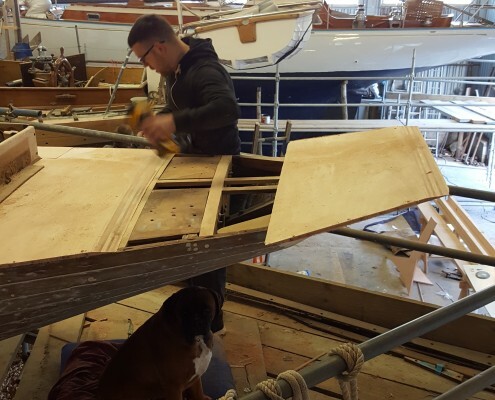 We are specialists in refit and restoration, and work across all different kinds of boats, from cruising to racing, wooden to GRP, but our absolute passion is Classic Yachts. 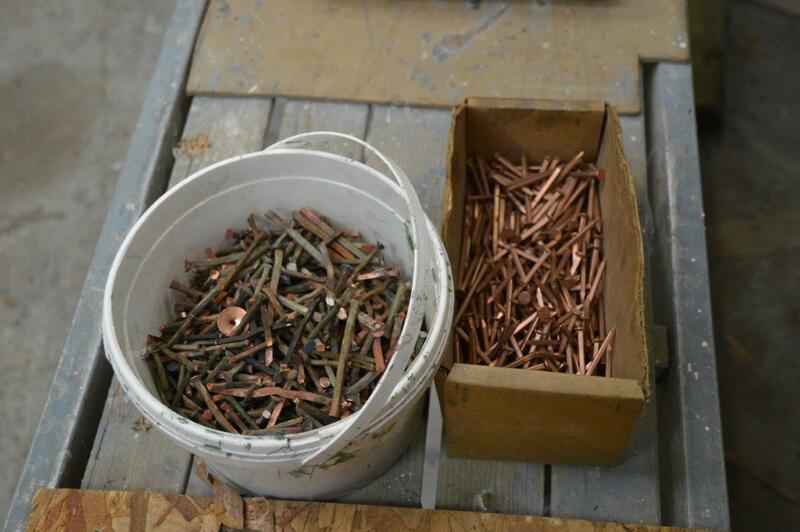 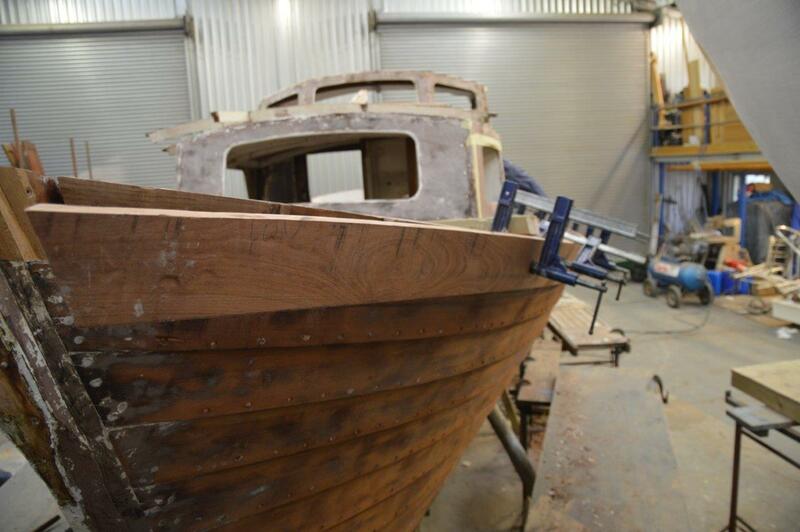 Traditional wooden craft, and bringing history back to life, are simply what we LOVE. 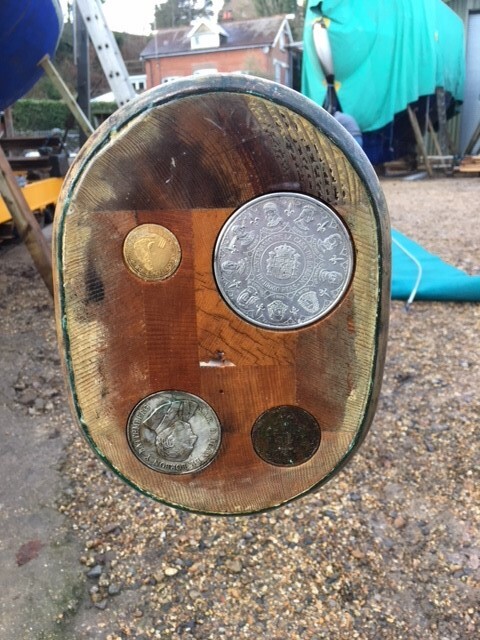 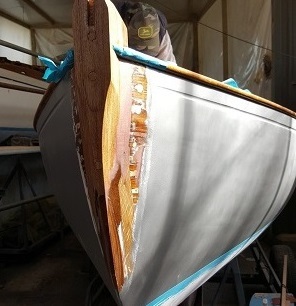 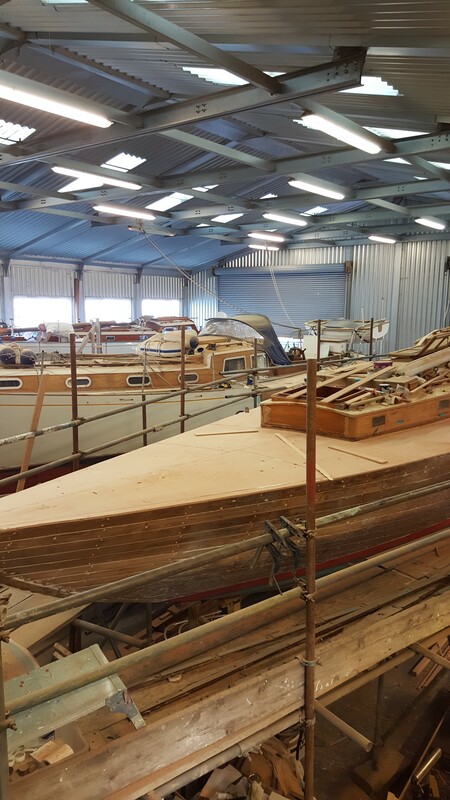 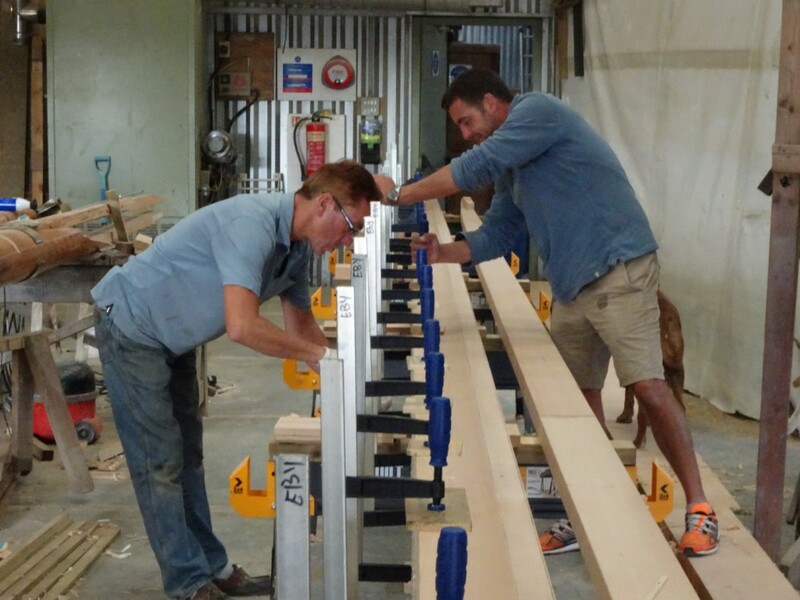 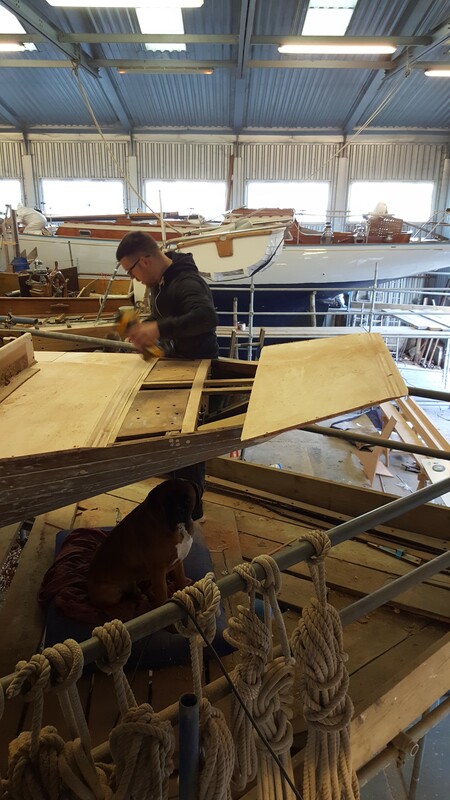 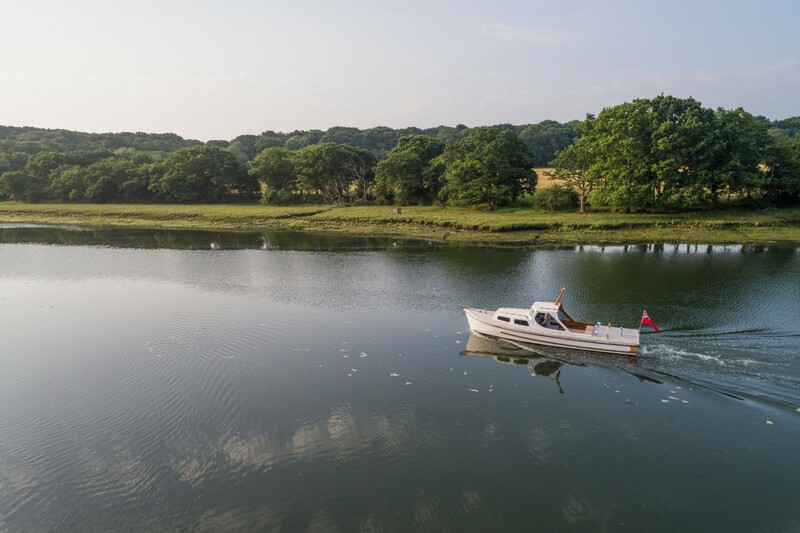 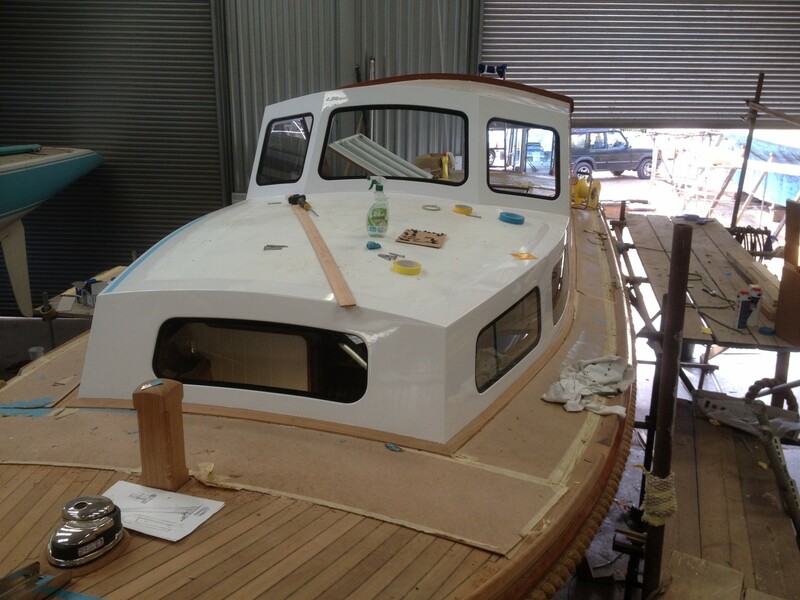 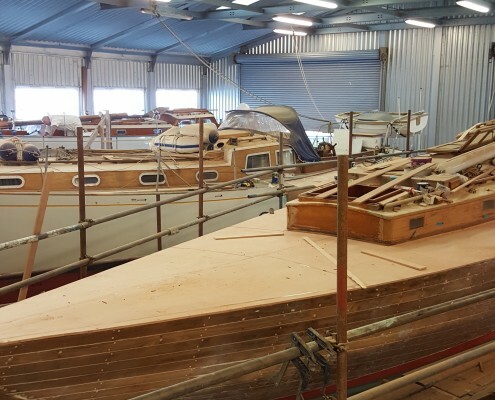 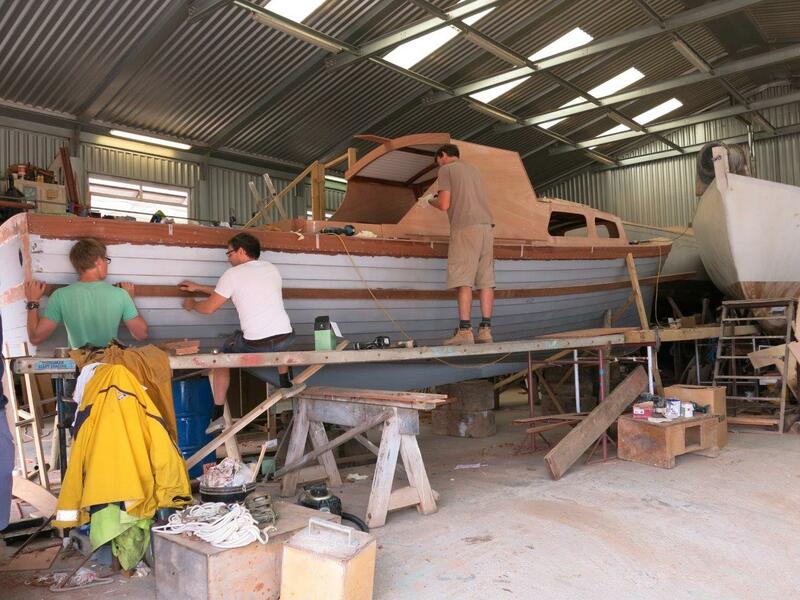 Our in-house team of boat builders are highly skilled at traditional and new working methods and take an immense pride in giving an old boat new life. 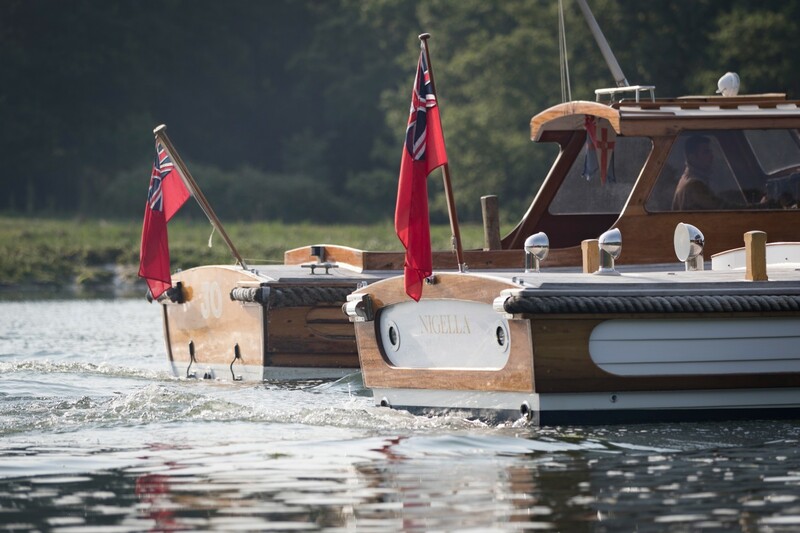 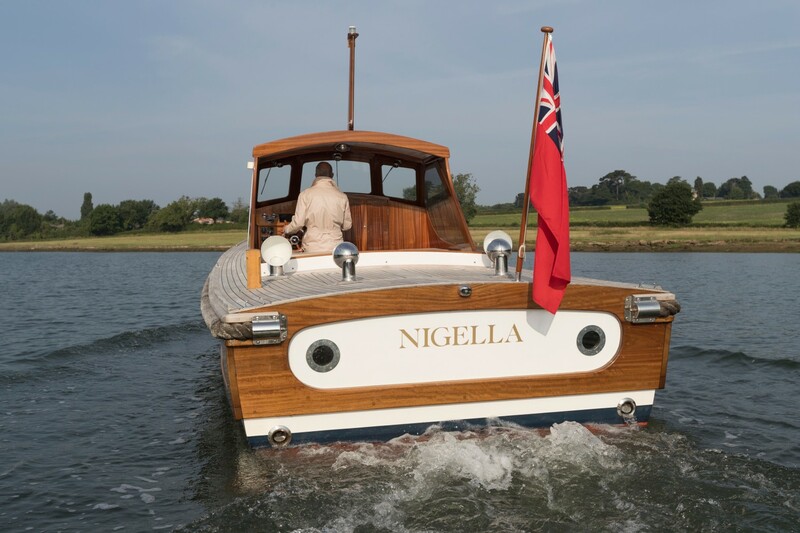 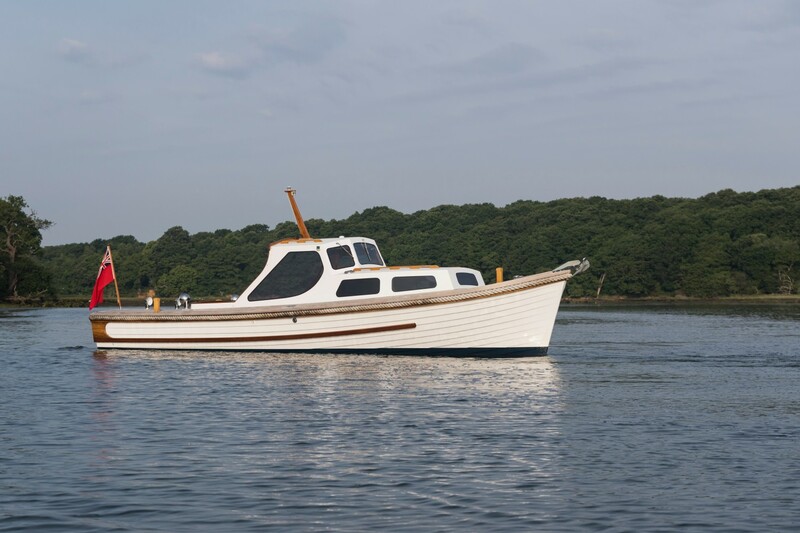 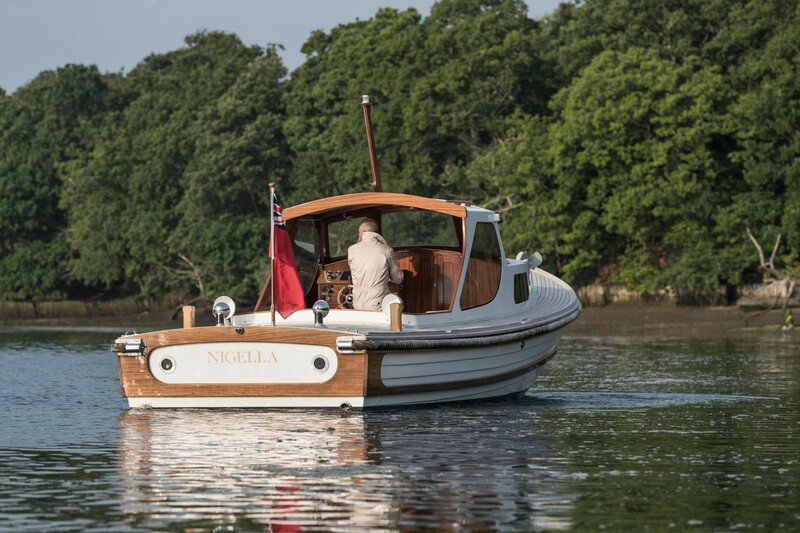 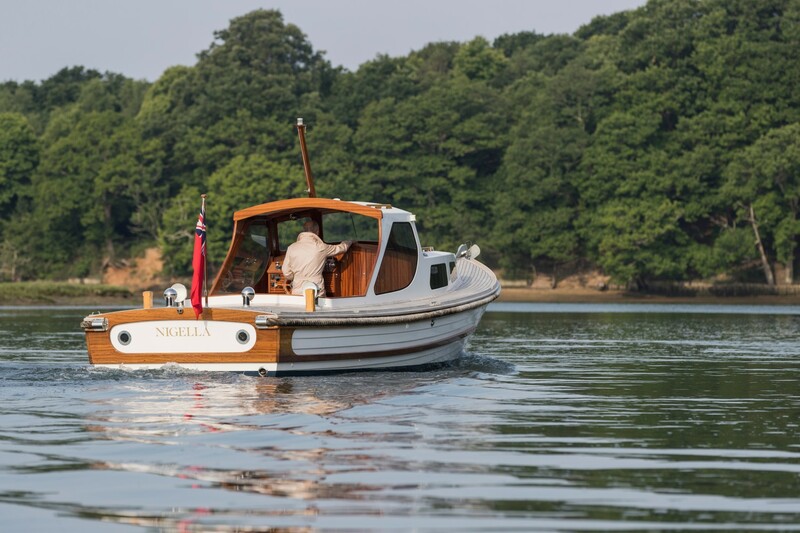 We recently launched Nigella, a classic 1959 Nelson motor launch, after an extensive rebuild project. 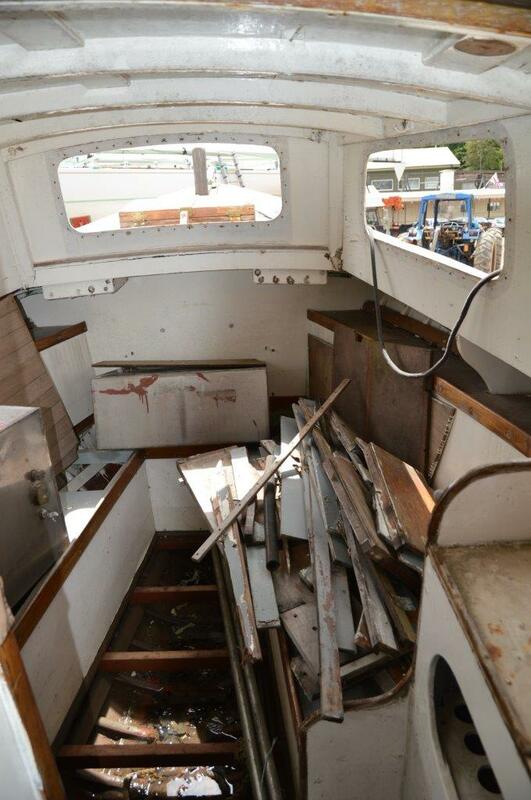 The “Before & After” images below show just how much work went into bring Nigella back to her former glory. 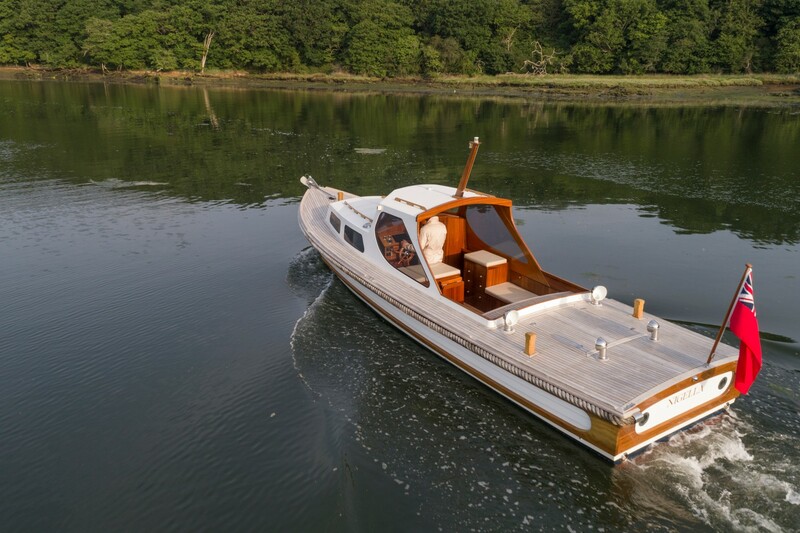 She is now a delightful gentleman’s launch – perfect for cruising around the Solent. 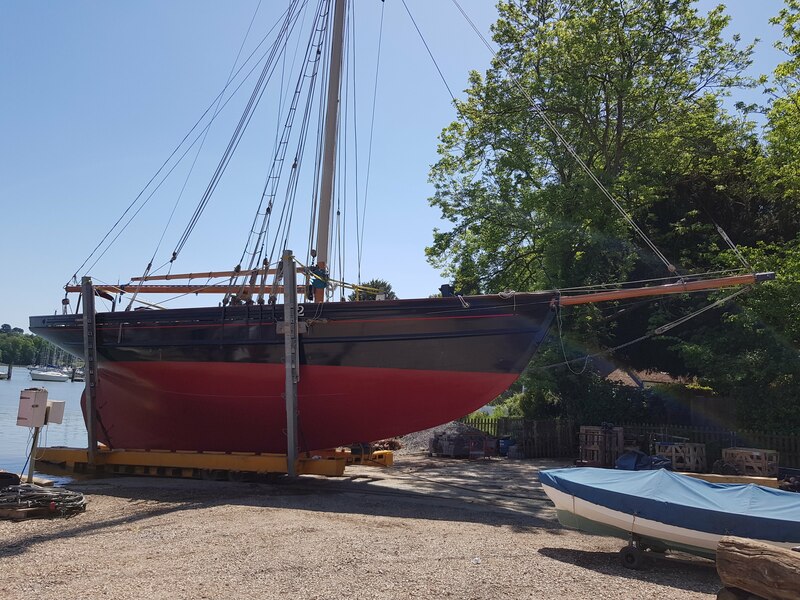 Carlotta is an 1899 Bristol Channel Pilot Cutter with a colourful past and excellent racing pedigree. 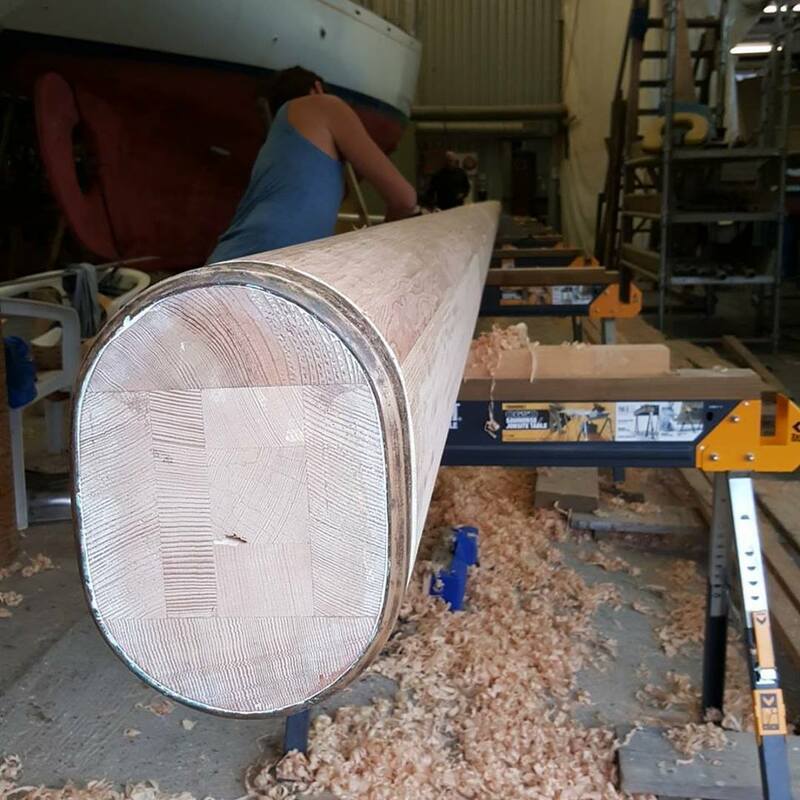 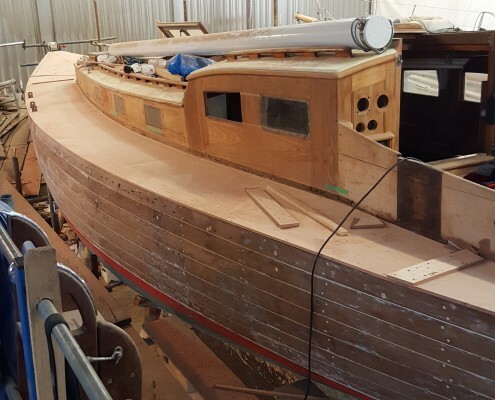 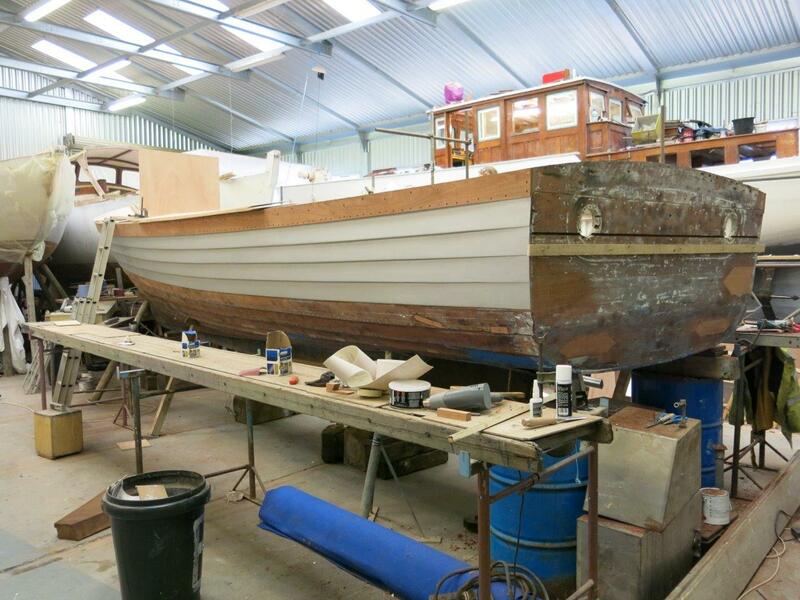 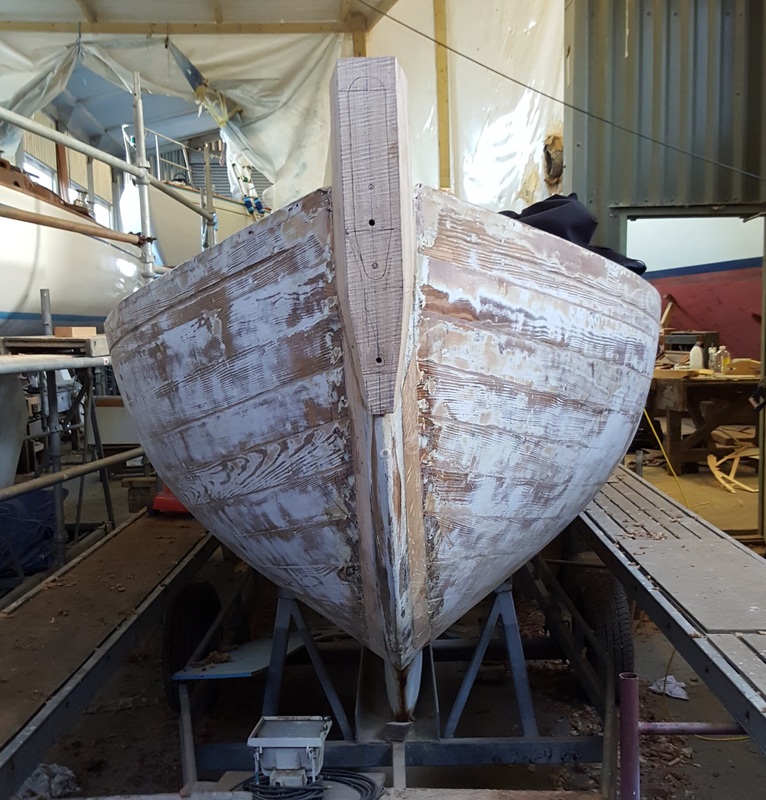 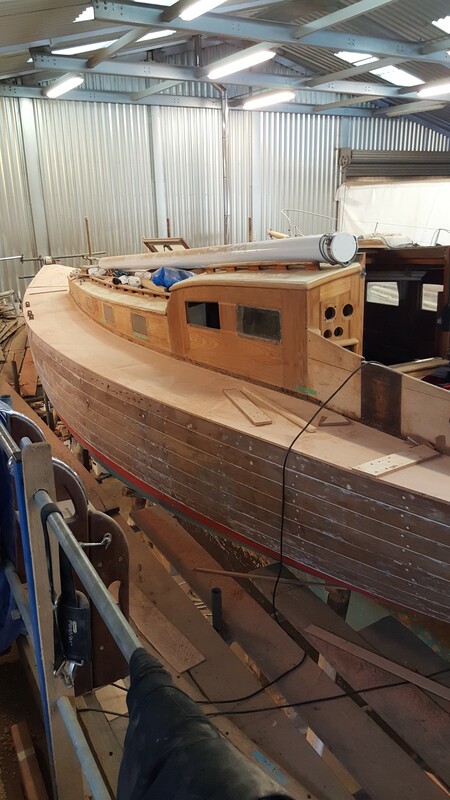 Having had considerable restoration work completed at the Abernethy & Gaudin Boatyard on Vancouver Island, Carlotta came to us with further work required in order to get her afloat. 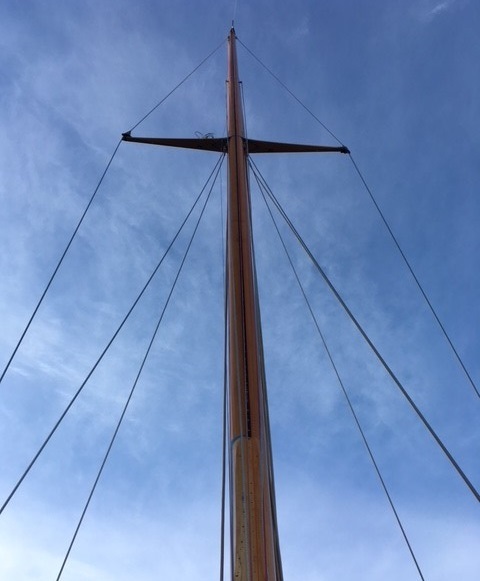 The job list included replacing planks in the stern, deck caulking, ballast, fitting a new stove and extensive rigging work. 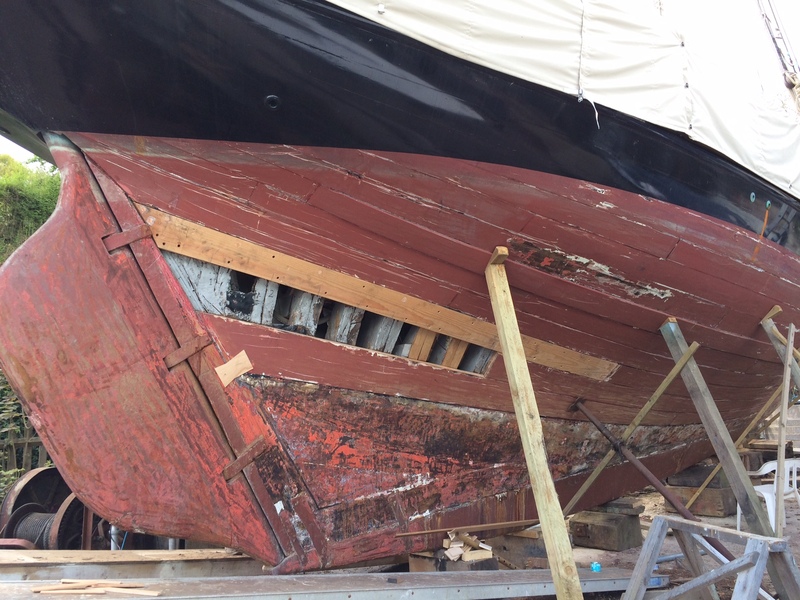 She is now sailing again – a formidable combination of strength and beauty on the water. 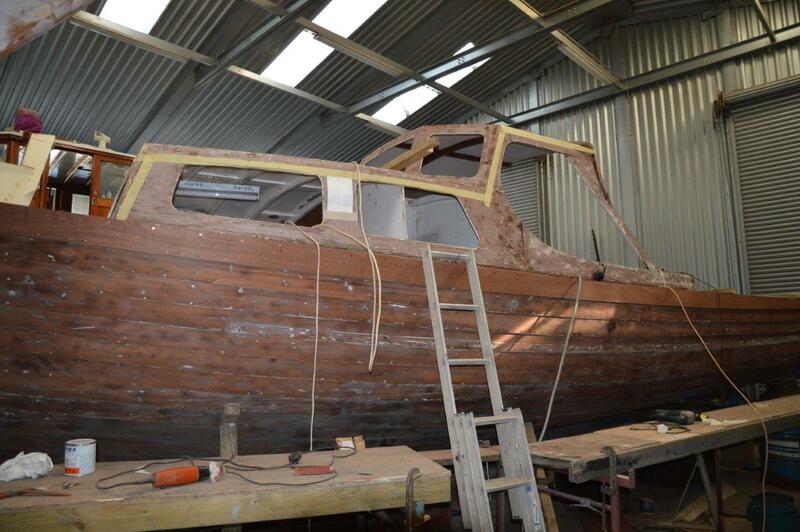 Sphex is an X boat that came to us in need of some TLC. 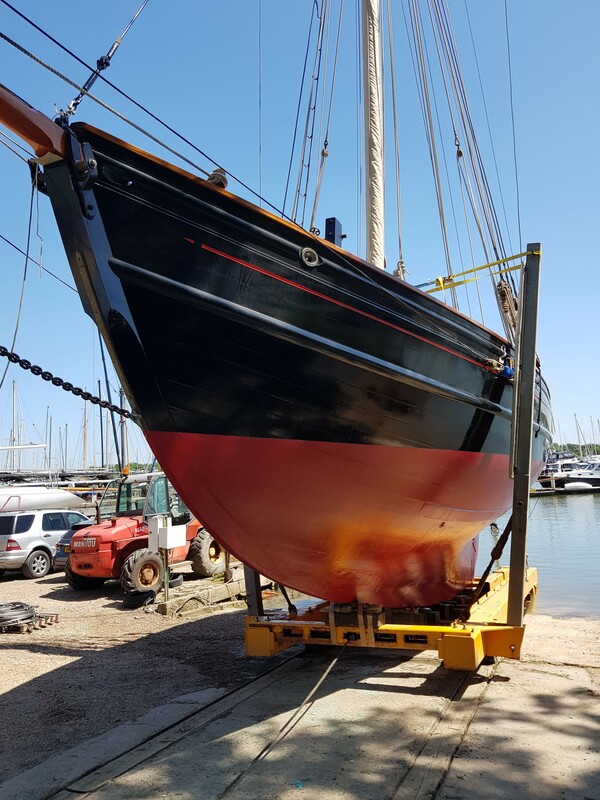 Work to date has included repair of her stem, deck sheaving, seam repair and priming her topsides ready for a final coat. 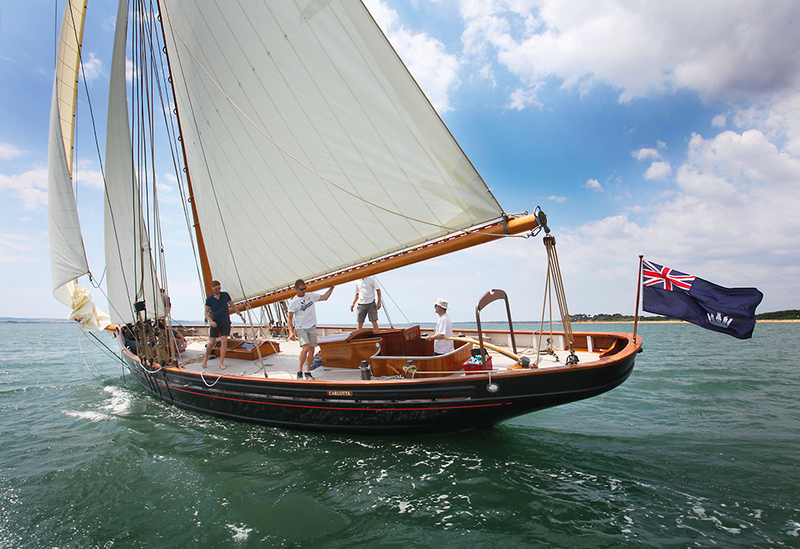 John Dory is a 45ft Bermudan Sloop built in 1938 with a fine racing pedigree. 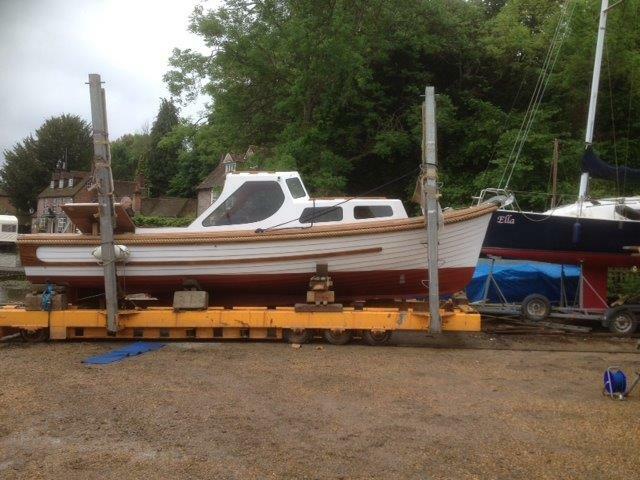 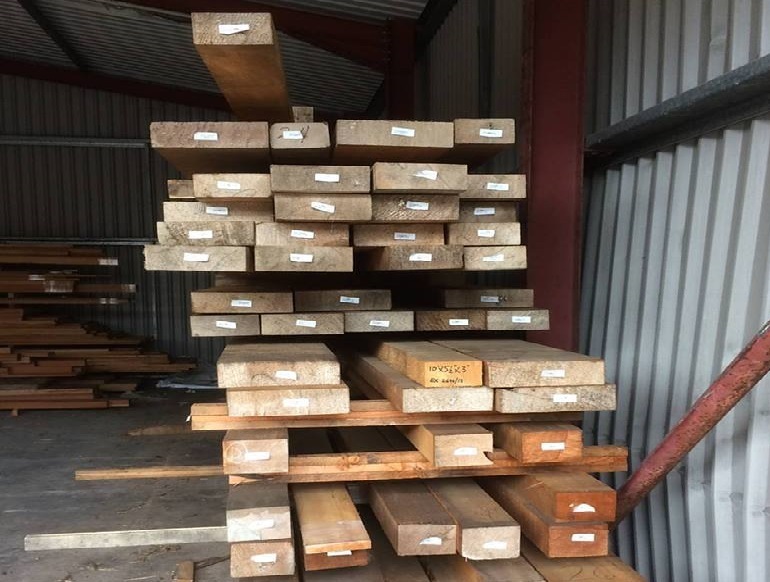 Owned by one of our longest standing customers, she is in our shed having a new ply sub deck with a tongue & groove effect to ensure a traditional look is maintained. A relaid teak deck will follow.